An education in Chicago’s house music history is deep in such institutions as The Warehouse, WBMX, and Grammaphone Records where many legends and renowned DJs learned their craft. DJ/producer Doc Link is no exception. Fascinated as a child by his older brother’s vinyl collection and later the club sets of Farley “Jackmaster” Funk, Gene Hunt, and Ron Hardy, Doc Link inevitably launched his own DJ career in 1987. 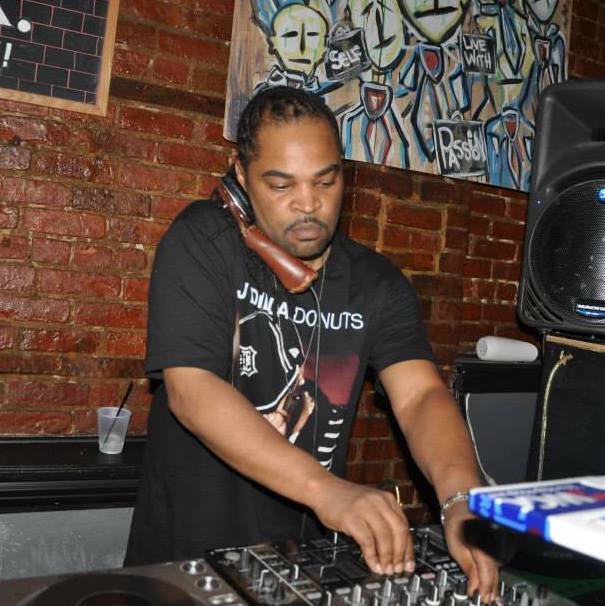 His versatility and interest in genres ranging from soul and house to raw funk allowed Doc to develop a signature style of DJ’ing, mixing new and old, often including his own re-edits and versions of popular tracks. This dedication earned Doc Link a sterling reputation in his home city of Chicago and led to numerous appearances and gigs across the country. As with most DJs and music obsessives, Doc found himself intrigued by the art of production and quickly set down that path. His production credits are as varied as his musical taste, including stints behind the mixing board for hip hop and soul acts and even creating jingles for Chicago urban radio stations. Soon he ventured into house remixing, and it was a winning collaboration with friend Roy Davis Jr. on “Dance Shake” that further propelled Doc Link into the limelight. Continued collaborations with Davis Jr. as well as a production alliance with Malik Alston for the classic “Back 2 Chicago” on King Street cemented Doc’s place in house music. In a major move, Doc Link formed Liberate Recordings in 2006 with fellow DJ/producer EMan, Liberate has given Doc even more chances to excel with the freedom to release his music unhindered by another label’s restraints. Still, it’s behind the decks where Doc Link shines the brightest. His DJ sets are energetic, raw, and completely from the soul. With a love and knowledge of music as deep as his, Doc Link’s sets act as intricate statements on the history of house as he’s experienced it and a reflection on where it’s all going. Says Doc, “I knew i wasn’t just a listener when I started to hear the breaks, hooks, and melodies in the record when I wasn’t playing music.” Such attention to the music permeates Doc Link’s sets as well as his own tracks, making for a deeper experience on dancefloors everywhere.